Whenever I hear parents complain about their kid's technology use, it is almost always about smartphone use. Rarely do I hear any complaints about their children's use of a computer, and not many about tablets. So why then, do parents lump all technology together when they want to limit screen time or when they discipline their kids and say no technology. That is like finding your kid reading a dirty magazine and saying, "Your punishment is no more reading for a week". Never look up from their phone, cutting themselves off from the world and putting themselves in danger. Send text messages to anyone at anytime. Be extremely rude to everyone around them. Not pay attention in school because they can have the phone hidden. If they have a driver's license, they can drive and text, which is the worst offense of all or talk and text, which isn't much better. I am all for taking smartphones away for disciplinary reasons and limiting their use. In fact, until your kids have earned it, you can get them simple cellphones instead of smartphones. These allow them to call you in case of emergency, but do not have all the other functions. I also recommend that parents try to model the way that they would like their kids to use smartphones. Tablets do allow texting, but if you don't pay for cellular, your kids will be very limited in where they can use it. And most tablets are rather large to carry around. The computer, whether a laptop or a desktop, is the innocent victim here. You can easily have a family computer in a common area to make sure your kids aren't using it for inappropriate activities. What can kids, tweens and teens do on their computers, that hopefully you are not limiting or taking away? When on the computer, they are doing something. They will either use a search engine or type in a url to go somewhere. Being online is not passive. Almost any website they go to, even if it is to watch something, involves reading. Many websites involve writing, even if it means just adding a comment. Teens love looking things up online. They might not necessarily look up what we consider educational. But the act of searching for information is a great skill. Who cares if they want to know what year Dumb and Dumber was produced or how many games the Knicks won in 1998. They are satisfying their curiosity by doing online searches on reference websites. Do your kids love video games? They can play many online for free. Video games have many benefits, so don't worry unless that is all they do. And even better, there are websites in which they can learn how to create video games. I'll be writing about them soon. Your kids can listen to music, find book recommendations and learn about anything they want. There isn't anything that they can't learn online. Not to mention that they probably need a computer for much of their school work. My sons feel bad for me that I didn't have the Internet when I was growing up. A computer is fantastic resource for anything and everything. 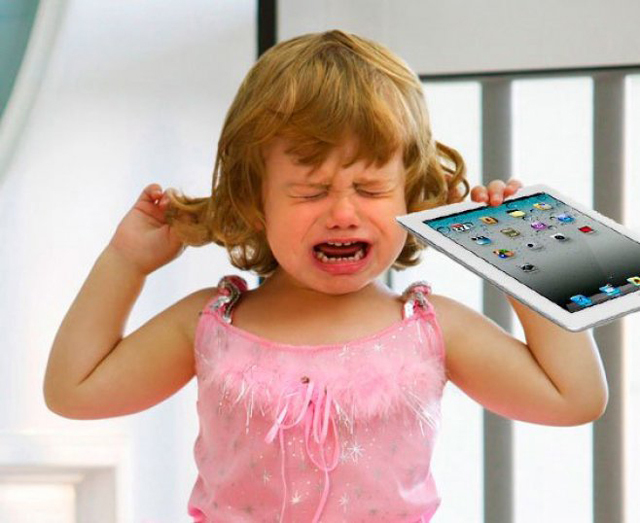 Don't take away a wonderful resource where no harm is occurring because your kids are wreaking havoc on another device. Take away that device.